Modifying data in Graph Database tables is similar to working with traditional tables, but there are several things to consider. Robert Sheldon explains how to insert, update, and delete rows of Graph Database tables and explains how to use several new helper functions. SQL Server 2017 makes it possible to implement graph databases within a relational table structure, allowing you define complex relationships between data much easier than with traditional approaches. Under this model, nodes (entities) and edges (relationships) are implemented as tables in a user-defined database, with the graph features integrated into the database engine. As a result, you can use familiar T-SQL statements to work with the graph tables, and you can use the graph features in conjunction with other SQL Server components and tools, such as columnstore indexes, Machine Learning Services, and SQL Server Management Studio (SSMS). This article is the third in a series that covers different aspects of SQL Server graph databases. In the first two articles, you learned how to create, populate and query node and edge tables. In this article, you’ll learn how to delete and update graph data, as well as how to insert data in ways we have not yet covered. 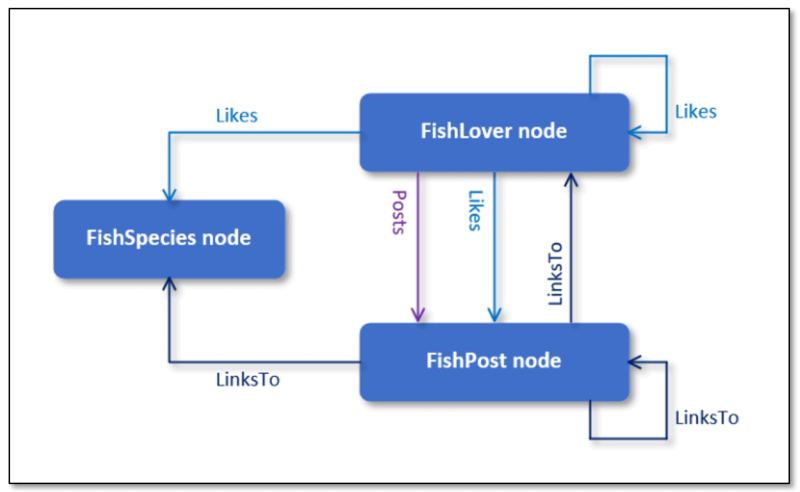 Like the previous articles, this article includes a number of examples that target the FishGraph database, which is based on a fictitious fish-lovers forum. The database includes the FishSpecies, FishLover, and FishPost node tables and the Likes, Posts, and LinksTo edge tables. The following figure shows the data model used to build the database. If you worked through the first two articles, this should all look familiar to you. The rectangles represent the nodes, and the arrows connecting the nodes represent the edges, with the arrows pointing in the direction of the relationships. You can download the T-SQL script used to create and populate the database at the bottom of this article. Because we covered how to insert data in the first article, we’ll start this article with how to delete graph data and then move on to some new tricks for inserting data. We’ll leave data updates till the end because they’re not quite as straightforward as with inserting or deleting data. For the most part, deleting data from a node or edge table is just like deleting data from any other table. Things only get sticky if you base your deletion on any of the auto-defined columns (node_id, $edge_id, $from_id, or $to_id), but even then, it’s not all that complicated. The SELECT statement uses the MATCH function to return only those rows in which a fish lover likes a fish post. The other two WHERE clause conditions refine the search to the specific user and post, giving us the following results. I won’t go into much detail about the INSERT and SELECT statements because I covered how to add and query data in the first two articles, at least to the extent that these statements are used here. If you have any questions about what’s going on, be sure to refer back to those articles. Because the deletion is based on the values in the $from_id and $to_id columns in the Likes table, you need to compare them to $node_id values from the originating and terminating records. As you’ll recall from the first article, the database engine automatically generates the $node_id values in the node tables, creating each one as a JSON string that provides the type (node or edge), schema, table, and a BIGINT value unique to each row. Of course, you can pass in the $node_id values as literal stings in the WHERE clause, just like you can pass in a literal string if comparing the $edge_id column (which we’ll get to shortly). However, building the JSON strings is not always as convenient as constructing subqueries. The key to using subqueries is being able to target the correct records in the originating and terminating nodes. In this case, we’re able to use the FishLoverID and PostID values from the node tables. As you’ll recall from the second article, the MATCH function lets you define a search pattern based on the relationships between nodes. You can use the function only in the WHERE clause when querying a node or edge table. In this case, the function filters out all rows except for those in which a fish lover likes a fish post. The other WHERE clause conditions ensure that that the correct relationship is deleted. All we’re doing here is joining the two node tables and one edge table. The FROM clause joins the tables based on $node_id values, and the WHERE clause filters the data based on the FishLoverID and PostID values. Although this statement is a bit more cumbersome that the preceding example, it uses a traditional T-SQL statement to delete the data, an approach that’s familiar to many. 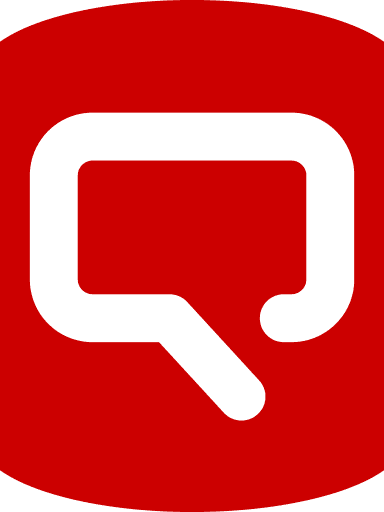 The object ID is the unique integer assigned to each object in a SQL Server database. The graph ID is the unique integer assigned to each $edge_id value (the id element). The id value works much like the values assigned to an IDENTITY column, with the value incremented by one with each insertion. For this example, I used the OBJECT_ID function to retrieve the object ID for the Likes table and then assigned that value to the @obj variable, which I then passed in as the first argument when calling the EDGE_ID_FROM_PARTS function. You do not need to do this in a variable, but it can help to make the code more readable. For the second argument, I passed in a value of 15 as the id portion of the JSON value. The key to make sure you’re passing in the correct id value. Otherwise, that’s all there is to using the EDGE_ID_FROM_PARTS function, and the other graph functions are just as basic. SQL Server 2017 includes six graph functions in all, as described in the following table. Extracts the object ID from a $node_id value. Extracts the graph ID from a $node_id value. Constructs a JSON node ID from an object ID and graph ID. Extracts the object ID from an $edge_id value. Extracts the graph ID from an $edge_id value. Constructs a JSON edge ID from an object ID and graph ID. Microsoft currently provides little information about these functions and offers no examples, but if you play around with them, you’ll quickly get a sense of how they work. No doubt we’ll eventually see more information about each function, and we might even see additional functions. Until then, the existing ones represent a good starting point, not only for deleting data, but also for building other types of queries, as you’ll see in the next section. In the first article in this series, you saw several examples of how to insert data into node and edge tables. Inserting data into a node table works just like any other SQL Server table. You specify the target columns and their values and leave it to the database engine to populate the $node_id column. For the second function argument, you should use the graph IDs from the $node_id values in the originating and terminating node tables. 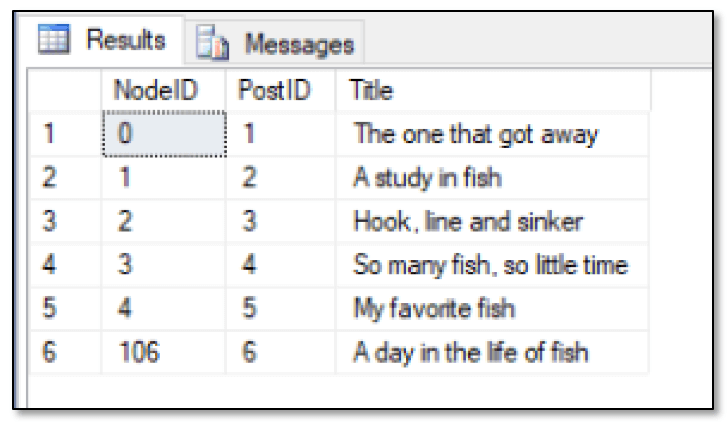 These values are different from the FishLoverID and PostID columns because SQL Server starts at 0 when assigning the graph ID to a $node_id or $edge_id value. If everything is working as expected, you should see the results shown in the following figure. By taking this approach, you can specify what integer value to assign as the graph ID used to build the node ID (in this case, 106). This can be handy if you’re pulling data in from another source and want to use the existing ID assigned to each row as the graph ID. Just be sure to use a unique value for each graph ID, or the database engine will return an error. Also note that SQL Server documentation briefly mentions that you cannot insert data into the $node_id or $edge_id column of a graph table. If you do, according to Microsoft, you’ll receive an error. This has not been my experience. I’ve had no problem inserting the ID values, as long as I pass them in using the correct JSON form. Because graph databases are so new to SQL Server, it’s not surprising to run into these types of inconsistencies. Notice that the SELECT clause uses the GRAPH_ID_FROM_NODE_ID function to return only the graph ID from each $node_id value, making it easier to confirm the value we just added. The following figure shows what the FishPost table should look like at this point. Suppose you now want to return only the row that contains the last graph ID value inserted into the table. This can be a little tricky because SQL Server sometimes treats this type of table as though it includes two IDENTIY columns, in this case, $node_id and PostID, even though a SQL Server table can theoretically include with only one such column. The @@IDENTITY function returns the last identity value inserted into an identity column in the current session, regardless of where the value was inserted. In this case, the function is used to compare the graph ID to the last inserted identity value. If the values match, the row is returned, as shown in the following figure. Assuming you didn’t run any other INSERT statements in your last session, you should receive the correct value. The statement returns a value of 6 rather than 106, which is why the previous SELECT statement returns no rows. When I tried all this out, I expected the @@IDENTITY and IDENT_CURRENT functions to return the same value and could find nothing in the Microsoft fine print to suggest why they might be different. Things got even stranger when I created a node table that did not include an IDENTITY column. This time both the @@IDENTITY function and IDENT_CURRENT function returned a NULL value after I inserted a row. Next, I created a table that included the IDENTITY column but inserted a row without specifying the $node_id value. In this case, both functions returned a value of 1. In addition, my results were always the same whether or not I called the identify functions within the same batch as the INSERT statement. Apparently, Microsoft still has some details to work out with graph databases, or I’m missing something important about how identity functions work. Just in case it’s not me, you might want to proceed with caution when using identity functions in conjunction with graph databases. Clearly, the graph-related functions can come in handy at times, depending on the type of queries you’re trying to perform. Unfortunately, the process of updating data in a graph database is not as straightforward as adding or deleting data. That’s not to say you can’t perform any updates, you just can’t perform them on the auto-defined graph columns ($node_id, $edge_id, $from_id, and $to_id). The statement returns the results shown in the following figure, which indicates a NodeID value of 207. As long as you know how to delete and insert records, you should have no problem performing your updates. Although this approach adds a bit of complexity to the process, it’s not too bad overall. Just be sure you delete and add the data within a single transaction. For the most part, working with graph databases is fairly straightforward, once you figure out the basics of querying node and edge tables. The graph-related functions can help, but so can understanding how these tables work together to define complex relationships. Be aware, however, that the graph database features do not include a mechanism for validating relationships. For example, you can create relationships where they don’t belong, such as a fish species liking a fish post. You can also delete a relationship’s originating or terminating record without deleting the relationships itself. For a more complete discussion of these issues, check out Dennes Torres’s excellent article SQL Graph Objects in SQL Server 2017: the Good and the Bad. Because the tables in a graph database are similar to typical SQL Server tables, you can usually get around most limitations, as long as you understand the basics of querying and modify graph data. And the best way to learn those basics is to try the graph database features for yourself, using the type of real-world data that drives the applications you’re supporting.